This item (V64895) is not currently available for purchase. 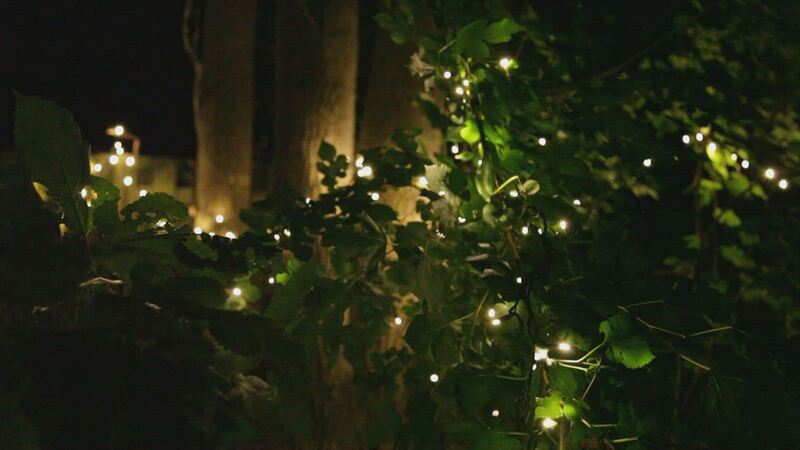 The most advanced Christmas twinkle light string is here: SoftTwinkle. SoftTwinkle lights pulse on and off slowly and gently, unlike other twinkle lights. The multicolors include: red, blue, gold, green and amber/orange. They create an exciting yet sophisticated display thats ideal indoors and outdoors. Perfect for decorating trees, garland, and wreaths. Create an entertaining light display for Christmas, parties or just because, with 5mm multicolor slow fade Christmas lights! 50 Multicolor SoftTwinkle 5mm LED lights spaced 4" apart on green wire, 17.0' total length. Beautiful soft twinkle on these - really nice! I hope in the future that a variation of these is created with pastel colors and an even slower twinkle, but these are great for now. The warm white is not warm enough for me, but I like these multicolor ones. It would also be wonderful if they would make a Halloween set in orange, green and purple. I really love these lights. The colors are rich and beautiful. The slow blinking is perfect to make the tree look alive. I often turn off the white lights that my tree came with and just leave these on and it makes such a perfect atmosphere! My husband had been searching the web for the perfect twinkling lights. Well, I found them! Right here, this strand of LED slow twinkle lights gives the perfect twinkle, so as not to distract you from whatever you might be looking at. The twinkle is slow, and each bulb is on its own twinkle time. These ladies are exactly what we were searching for. We are hoping to buy more. Reviewed by Brad D. B. We decided to downgrade from a six-foot tall tree to a two-foot tall tree this year. This left us wondering what to do about lighting the tree. We definitely wanted lights that twinkled, but 50 seemed like way too many for a two footer. We figured we would hide about half the string under the tree skirt. Turns out that all 50 were needed, and it looks spectacular!